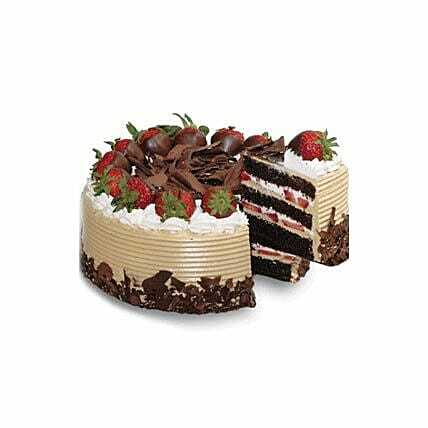 This chocolate and strawberry gateau makes a great dessert for after dinner. Fresh strawberries and chocolate are a classic combination. The perfect treat to finish any celebration in style.